I’m still talking about some of the research I did for writing Sky Knights, which is being released on March 25th. My last post didn’t really touch on the actions of the Night Witches, because I wanted to save it all for this one. Let me tell you about the Night Witches, or the Nachthexen, as they were known in German. The Germans named them such, because their planes coming in for a bombing run sounded like the whooshing of a broomstick. The Germans were terrified by these nightly assaults, as well they should be. 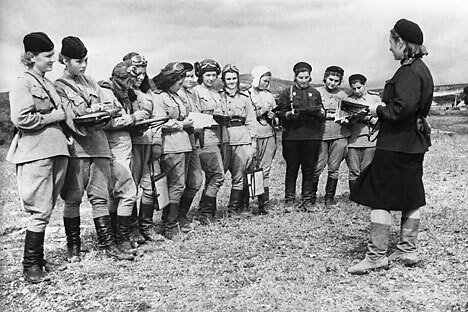 The 588th Night Bomber Regiment was one of three all-female air regiments in the Soviet Union’s 4th Air Army. All three regiments were created because of Marina Raskova, who used her influence with Stalin to convince him to allow their creation. The formation commander was Major Yevdokia Bershanskaya, an experienced pilot. In October of 1943, the 588th was renamed the 46th Taman Guard Night Bombers Aviation Regiment, in recognition of their victories over the Taman peninsula. 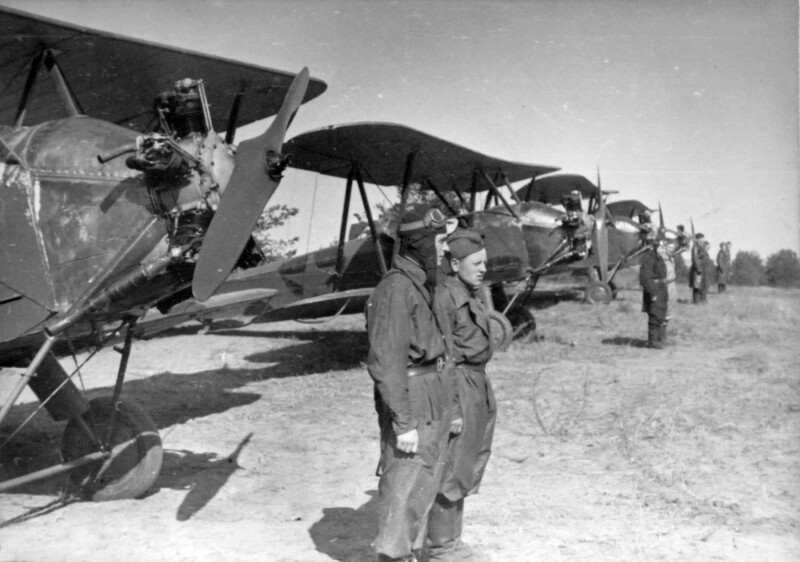 The Nightwitches flew tiny little wooden biplanes that were meant to be used as crop-dusters or for training. They were very slow, but had a few very notable advantages. One of which was that the highest speed of the Polikarpov PO-2 was still slower than the stalling speed of both the Messerschmitt Bf 109 and the Focke-Wulf Fw 190, the two German planes in most use. Another was that they could absorb quite a large amount of damage before going down. There were a couple downsides. One, the plane could only carry two people, and the cockpit was open. Another was that the Polikarpov PO-2 didn’t have any navigation equipment, radar, radio, or even parachutes. It could only hold six bombs at a time. The Nightwitches used a certain tactic against the Germans that was not only very effective in hitting bombing targets, but also in terrifying their enemies. This tactic was to cut or idle the engines of their plane, swoop in without the sound of their engine to give them away, drop their bombs, and then restart their engines in mid-flight. So the only warning that the Germans would get of their enemy’s incoming bombs was a swooshing noise before incendiary death came down upon them. One of the most highly decorated members of the Nightwitches was Nadezhda Popova, the leader of the 2nd Women’s Regiment, who was given the distinction of the Hero of the Soviet Union, the Gold Star medal, the Order of Lenin, and three Orders of the Red Star. She made a total of 852 sorties over the course of the war. She was shot down three times, but was never badly wounded. Once, she made a supply run to drop food, water, and medical supplies to trapped forces and nearly didn’t make it back. On her return, she found her plane riddled with bullets, including her helmet, and her map! She survived the war, and lived to the ripe old age of 91. 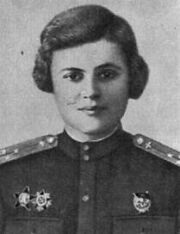 Another of the Nightwitches was a navigator named Yevgeniya Rudneva, who was also decorated with the Hero of the Soviet Union. She was a third year university student studying mechanics and mathematics at Moscow State University when the war broke out. She was also a member of the Astronomical-Geodesical Society and Head of the Solar Department. She wrote to the head of the Astronomy department to tell him she was defending the honour of the university, as the Germans had dropped bombs on the university faculty building. She and her pilot were taken down by flak on her 645th combat mission. These are just two examples of members of the Nightwitches, one pilot and one navigator, just like my characters Dounia and Ira. I found out while researching that in 2001, there were plans to make a movie about the Nightwitches that fell through because American studios didn’t think it was feasible to market a movie in which the Nazi advance was halted by a bunch of teenage girls. It’s no wonder that women’s history is mostly forgotten if their stories aren’t told alongside men’s. But I’m here to tell you that it did happen, and those ladies were pretty heroic. My upcoming release of Sky Knights, starring my lesbian aviators Ira and Dounia, is to be released in just a few days. You can still preorder and save 15%. If someone asked you whether or not women were allowed in combat roles during the Second World War, what would you say? Most people would answer no. But actually, the answer is yes. During the Second World War, Russian women played a huge part in fighting against the Germans, in both non-combat and combat roles. I have a huge problem with the history of women being erased, and I would like to share with you some of the research I did while working on my upcoming release Sky Knights. 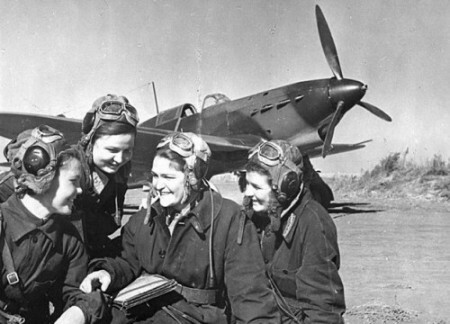 At the start of the Second World War, the Soviet Union didn’t want to allow women in the military. Never mind that many women of Russia had fought in previous conflicts such as the February Revolution, in which fifteen formations were created – including the 1st Russian Women’s Battalion of Death. Women had to petition for their right to fight alongside their male counterparts. Thousands of women volunteered to fight and were rejected, when the Germans started Operation Barbarossa in 1941. However, numerous losses in the early days of the war made the top brass change their mind. Women filled all types of different positions, from non-combatant roles to combatant. 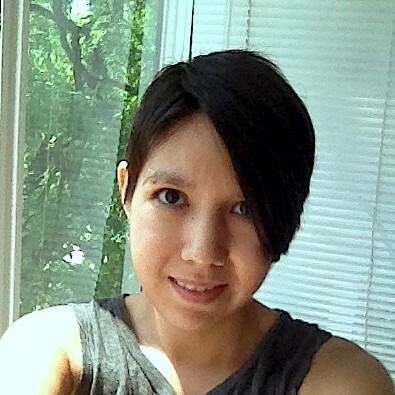 I wanted to tell a story about some of these women, who were every bit as heroic in real life as one would expect them to be in a fictional novel. Women were nurses. They had to carry weapons with them to protect their wounded charges as they rescued them from the front lines. Natalia Peshkova was one of these nurses, who was not only wounded three times in the line of duty, but was once separated from her unit and had to disguise herself in order to make it back safely. 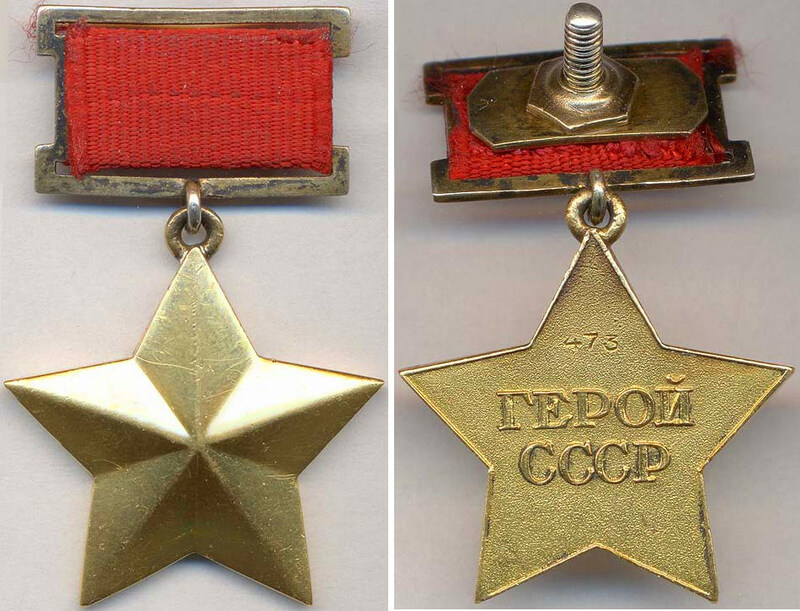 She was awarded an Order of the Red Star for bravery. Women were tank drivers. 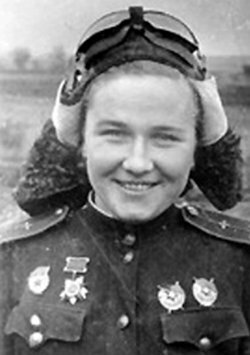 Mariya Vasilyevna Oktyabrskaya is one example, the first female tank operator to win the Hero of the Soviet Union medal. She was the wife of a military officer who was killed in combat. She sold every last one of her possessions in order to donate a tank to the military – under one condition: she got to drive it. 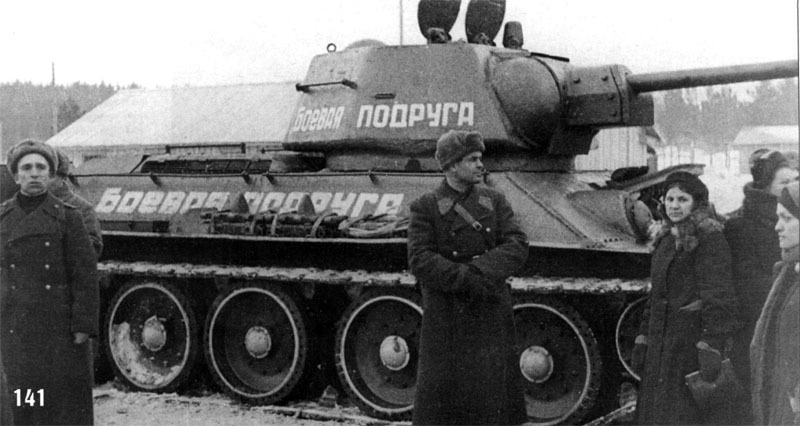 She named her T-34 “Fighting Girlfriend” and fought in many battles that established her as a skilled and fearless driver. She would jump out of her tank during battle and repair it if necessary, in spite of danger to herself and orders not to. She was hit in the head with shell fragments in battle, and died after two months of being in a coma. Women were snipers. 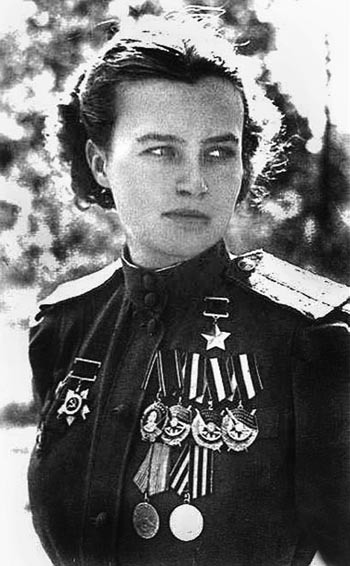 An example is Lyudmila Mykhailivna Pavlichenko. She was born in the Ukraine, and studied history at Kiev University. She became a sniper, and her number of confirmed kills was 309 by the end of the war, 36 of which were enemy snipers. She became an instructor, and trained Soviet snipers until the end of the war. She fought even more fiercely after her friend and fellow sniper Leonid Kutsenko was badly injured in battle and later succumbed to his injuries. And yes, women were aviators. Some of the real life female pilots during the Second World War enacted feats of daring just like Ira and Dounia do in my story. Lydia Vladimirovna Litvyak was the first woman to hold the title “fighter ace.” She was awarded the Order of the Red Star for her valour in battle. One of the pilots of a German plane she shot down wanted to meet the pilot that had outflown him, and refused to believe it was her until she described their dogfight in detail. Her aircraft was shot down, and her fate remained unknown for a long time. She was posthumously awarded Hero of the Soviet Union by Mikhail Gorbachev in 1990. She was known as the White Lily of Stalingrad. 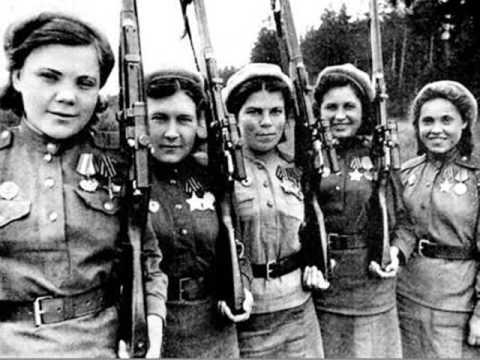 I’ve told you the very brief accounts of several of these heroines of Russia during the Great Patriotic War to show readers that my account of the bravery of Russian women is not exaggerated in the least. Nor is their number. 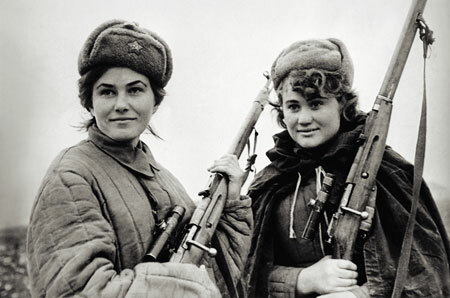 8% of Soviet forces were women by the end of the war. And for all their bravery, many of them have been forgotten, as their part in the war was deliberately overlooked by those in political power. Many women who received medals during the war couldn’t wear them after the war for fear of being stigmitized rather than lauded as heroes. For my part, my novel Sky Knights is an attempt to bring attention to women in history, because so often, their stories aren’t told.